Located in the heart of Ohio, Grace Church has served Wayne County for over 75 years. From its humble beginnings in a small brick building to the current 40-acre campus where thousands come every weekend to worship, Grace Church creates a warm and inviting place for the people of Central Ohio. With multiple venues on one campus, attendees can choose the worship style that suites them best. 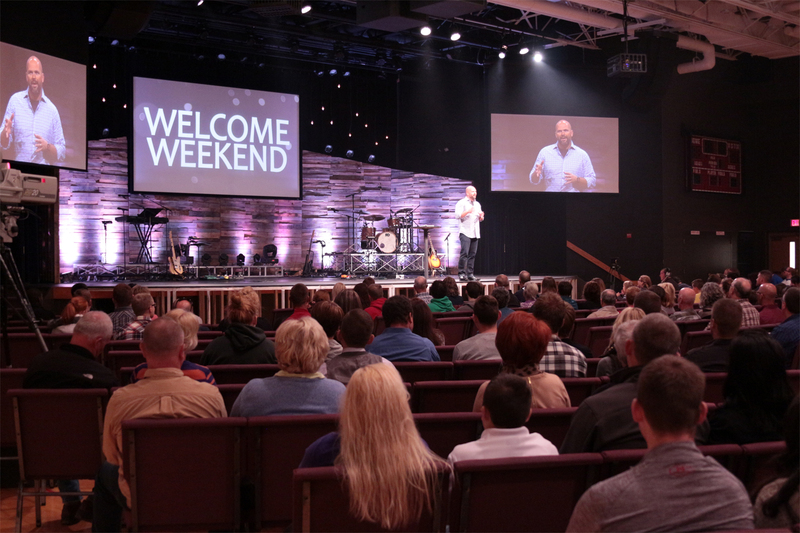 Two traditional and three contemporary services engage thousands of Wayne County residents every Sunday. In 2012 the team at Grace reached out to CCI Solutions to help them better leverage technology and make their contemporary venue more engaging. With big dreams and a limited budget, the Grace Wooster and CCI Solutions teams gathered for 2 days to dream and master plan how technology could help them also create a completely different and unique worship experience from their traditional service venue. But once a master plan and budget was developed, the Grace team found themselves in a familiar place for many churches, not being able to afford the entire plan right away. 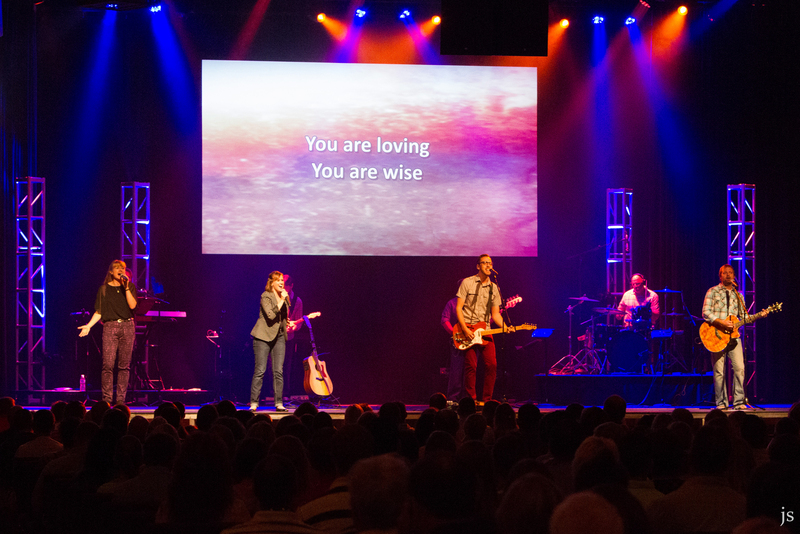 With some discussion and strategic planning, it was determined that the biggest pain points hindering a great contemporary worship experience was the lack of a robust lighting system and video projection that was hard for most of the room to see. The room being a school gym for the school during the week and a 1,000+ seat worship center on the weekend, a digital console was highly desired to allow setup and rehearsals to go much smoother. Phase one of the master plan implementation included a three screen projection system featuring Da Lite screens and Christie projectors, with left and right screens optimally located to support most of the room, and an added center screen to help those in the front center section engage in worship. A substantially improved lighting rig, including moving lights from Martin and Elation, supported by LED wash lights from ETC, set the scene for an amazing visual experience. Add in a new Yamaha CL audio console and not only did the worship space look great, but operation became much easier. 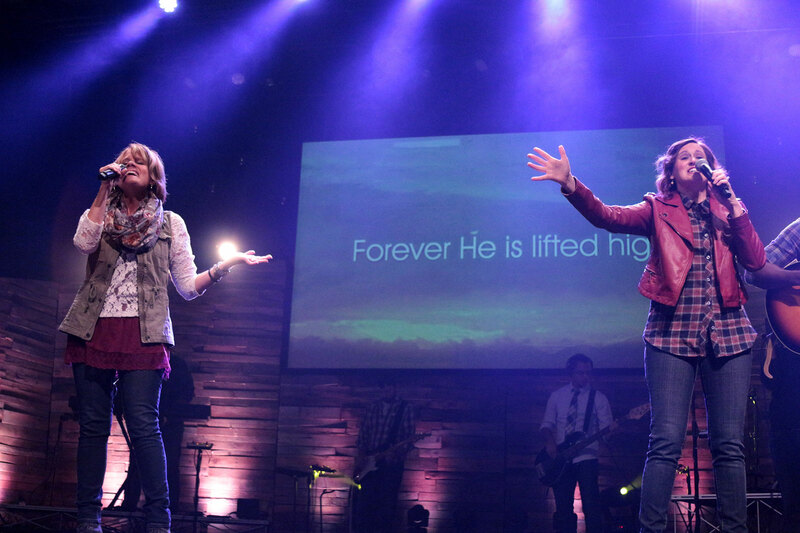 The following year, CCI Solutions received a call from the church, excited about the difference they’d seen in their worship experience, and ready to make the next improvement. With their visual experience now in line with their vision, it was time to make the audio match. Large venues are already hard enough to provide even coverage for, but the acoustical challenges of a gym make getting great coverage particularly challenging. A Bose RoomMatch speaker system was designed to carefully craft coverage that would minimize the sound hitting the side walls, yet still provide full, awesome sound to the seating areas. Side to side, front to back, the Bose RoomMatch speaker system creates a consistent, engaging contemporary worship experience that matches the energy of the lighting and video. Finally, a year later, the team at Grace Wooster called upon the CCI Solutions team again to deliver the final pieces of their dream, including a camera system for IMAG (seats in the back of the 1,000+ seat auditorium are more than 100 ft from the stage) and video capture, video control to mix these services, and a digital signage solution for the areas surrounding both the contemporary and traditional worship venues. Hitachi 2/3” chip cameras combined with Ross Video switching and routing created a full featured capture and IMAG system, even in low light, to both support those in the room and those watching via the web. Networked video by SVSI was also deployed to distribute digital signage and service video to the various hallways and lobbies on the massive campus, allowing the ultimate flexibility in what gets delivered where, all in a low-latency network solution. In only 3.5 years, the Grace Wooster and CCI Solutions teams went from dream to reality, defining what their ideal contemporary worship venue would look like in our Accelerated Collaborative Design process, and then patiently implementing those dreams in phases that hit their budget and timelines. Whether implementation happens in a single project, in 3 years, or longer, partnering with CCI Solutions to master plan how technology can increase your effectiveness always pays off because your systems get you where you want to go, done right, the first time.